A Divine Saga of hitherto unheard of Divine Love between Sri Guru Granth Sahib and the Greatest Divine Lover of Sri Guru Granth Sahib - Baba Nand Singh Ji Maharaj. 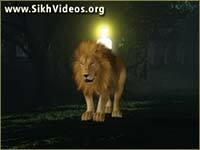 This video offers the greatest lesson for any Sikh of Sri Guru Granth Sahib on how to have that True Prema for Sri Guru Granth Sahib. 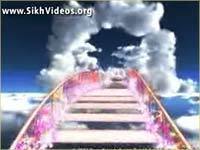 The soul-stirring, unheard of examples Baba Nand Singh Ji Maharaj set during His lifetime are the greatest guiding light for the entire humanity. This video only touches upon the Sacred examples (poorney) of early Childhood at the Ages 5 and 6. To download any clip, please click on the link where “download” is written, and you will be prompted to save the file. We strongly recommend that you download the video clips marked “High” so that you may enjoy continuous and smooth video play, and additionally you may also play even when you are not connected to the internet. 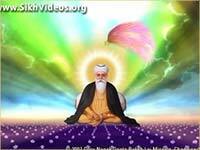 Sun Meeta Nanak Binvanta Sadh Jana Ki Achraj Katha. 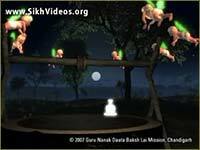 Here is a soul-stirring Katha of Baba Nand Singh Ji's Holy Childhood. In Kaliyuga, Guru Nanak Sahib sends His Most Beloved Lover, Prem Parkash of His Lotus Feet, and he starts setting Most Soul-Stirring Examples from His very Birth. 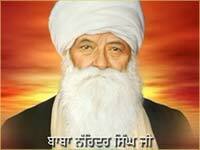 Suno Mere Veer Jio Babey Nand Singh Ji Di Amar Katha. 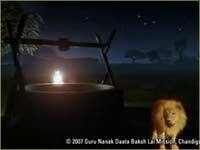 At the age of 5, Baba Nand Singh Sahib was found to be missing from his house in the early hours of morning. He had taken a bath at 12 midnight at a well and was discovered sitting in deep meditation on a raised and narrow bricked edge of that well outside the village. He was seated cross-legged in samadhi nearly for three hours now in complete solitude. Listen to why he chose that very spot for meditation. 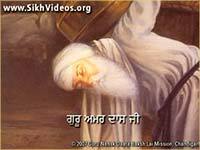 Poetic rendition of the above mentioned soul-stirring incident of Baba Nand Singh Sahib at the age of 5. 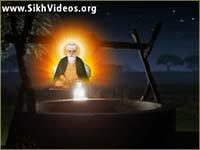 Baba Nand Singh Ji would set out for meditation daily at 12 midnight even from the early age of 5. But why did Baba Nand Singh Ji chose the time of 12 midnight for this arduous Tapasya. Please listen to the discourse for the answer of the same. 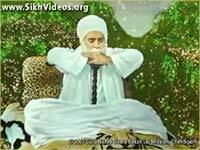 Gurmukh Guru Da Janam Din Har Roj Hi Manadey. Poetic depiction of the above parvachans. 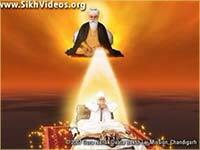 Parvachans on How intense the Love of Baba Nand Singh Ji was for Sri Guru Nanak Sahib. 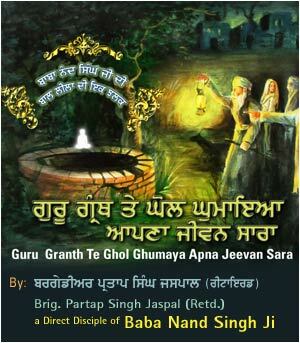 Guru Granth Te Ghol Ghumaya Apna Jeevan Sara. 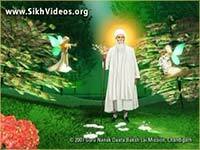 Listen to another Holy Incident of Baba ji at the Age of 6. 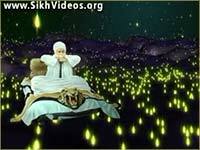 It shows the unprecedented Love Baba Ji has for Sri Guru Granth Sahib. Poetic depiction of the Above mentioned Holy Incident of the Age of 6. 6 Saal Di Umar Vich Rabbi Bal Kamaal Dikhaya. 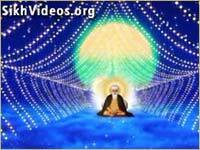 Baba Ji would set out for arduous meditation at midnight in complete solitude? 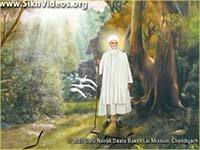 At such times, Ses Nag would guard the place where Baba ji would do the Tapasya. If anyone tried to approach the place, listen to who all confronted him. Poetic Depiction of Babaji's Tapasya and who all guarded their place. Sap Harappe Phaniyar Kale Tere Charnan to Balihar. Soul-stirring parvachans on who a Sikh Is. 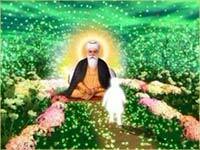 Parvachans explaining the importance of Humility with soul-stirring examples from Guru Sahebs. This Humility and Nimrata too has taken a physical form, and that form is Baba Nand Singh Ji - Baba Nand Singh Ji himself is the most humble tribute at the Lotus Feet of Sri Guru Granth Sahib.